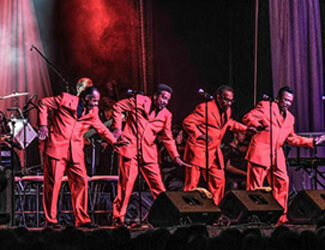 The Motown Experience is a world-class vocal group assembled from past and present members of three of Motown’s most legendary groups, The Temptations, The Miracles and The Capitols. A Motown Christmas is a powerful show combining Motown’s greatest hits and everyone’s favorite holiday classics. The show features Motown's trademark dazzling choreography and unforgettable harmonies all performed in that memorable, soulful Motown style. The performance in Hagerstown, is part of a Christmas tour that includes Raleigh NC, Savannah GA, Erie PA and 9 other cities over a 3-week period. This is truly a family-oriented event that is sure to become a Holiday Tradition in Hagerstown and Western Maryland.